Bajaj Auto took a giant leap from Pulsar series to introduce a new flagship model under Dominar 400 nameplate back in December 2016. The Pune-based company wanted the D400 to be a huge draw as it was pitched right against entry-level classic 350 that contributes to majority of volume sales for Royal Enfield. However, unlike initial expectations, Dominar 400 could not replicate its main rivals’ success despite being a highly capable motorcycle with VFM proposition and modern technologies. 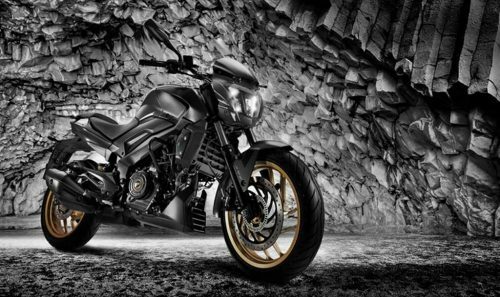 Bajaj is trying to expand the Dominar’s umbrella to gain more acceptance with different body styles. While a dual-purpose adventure version was said to be in the cards first, a report emerged on the internet indicates towards a scrambler. It is in line with the Scrambler trademark made by Bajaj that we revealed in May 2017. The naked sports cruiser itself will see an impending update with new exhaust system and USD forks but the substantial launch will be a scrambler speculatively. Currently, the FB Mondial HPS 300 can be considered as the cheapest scrambler in the domestic market but the advent of Bajaj Dominar Scrambler could alter the proceedings when it goes on sale in the final quarter of this financial year – around same time as 390 Adv. 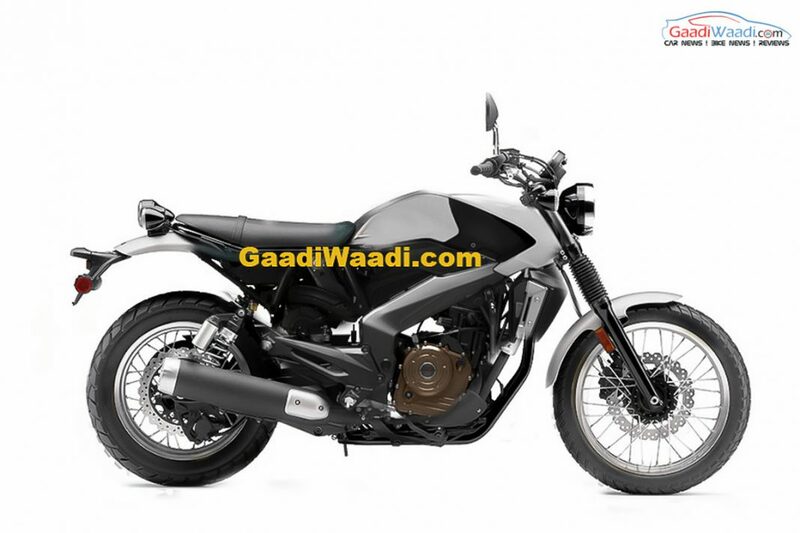 It could also be positioned aggressively against Royal Enfield’s Himalayan. Bajaj is expected to cater new segments in order to have a first mover advantage over rivals. With entry-level premium segments growing and new categories emerging, Royal Enfield Continental GT 650 and Interceptor 650 are scheduled to enter India on November 14 as well. Bajaj wants to make the most out of the Dominar and thus expanding the range with scrambler purportedly capable of off-roading duties. It will more likely share the same 3273 cc single-cylinder liquid-cooled engine from the standard Dominar making 34.5 bhp maximum power and 35 Nm of peak torque. The powertrain is connected to a six-speed transmission. With component and sharing of other bits, we can expect a clean profile as the regular Dominar and it could be built taking inputs from the upcoming KTM 390 Adventure. Bajaj might not want two products in the same range, so it could be taking a different route with the scrambler instead of a dual-purpose adventure motorcycle.